Do you faithfully make New Year’s resolutions every year, or have you sworn off resolutions after making (and abandoning) the same New Year’s resolutions year after year? According to Happify, approximately 80 percent of us give up on our resolutions by the end of January, so it’s not hard to see why you’d get discouraged. However, that doesn’t mean New Year’s resolutions are bad — it just means you’re doing them wrong. New Year’s resolutions aren’t about changing your life with one simple promise. Instead, they’re about making incremental improvements to your life every year so personal growth never halts. Resolutions don’t have to be complicated or lofty — in fact, it’s better if they’re not. Good New Year’s resolutions are meaningful, yet doable. 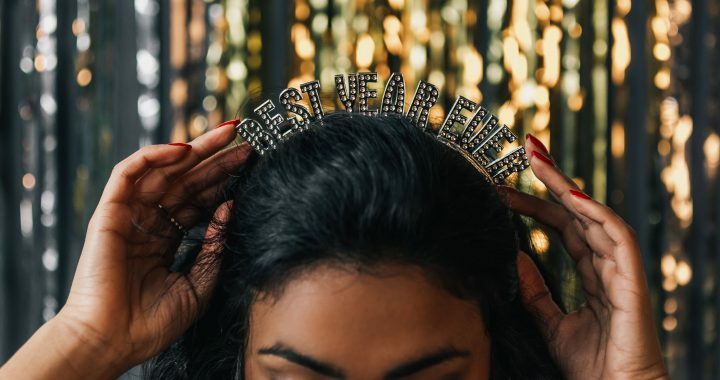 If you want a goal that motivates you toward a healthier lifestyle in 2019 without overwhelming yourself, you can’t beat these seven New Year’s resolutions. Did you know that one in four people go to work when they’re sick? While some workers don’t have the benefit of paid sick days, many employees work while ill because they’re afraid of falling behind. The truth is, going to work when you’re sick kills productivity, slows recovery, and risks your colleagues’ health. If you earn sick days, you’re entitled to use them — so do it! We all do it — checking text messages, scrolling through social media, and watching videos from the comfort of our beds. However, bringing technology into the bedroom is bad for sleep. If you reach for your phone out of habit, charge it outside the bedroom. Changing your home’s HVAC air filter isn’t the most exciting New Year’s resolution, but it just might have the biggest impact on your health. Your home’s air filter is integral to controlling your home’s indoor air quality. Without it, the dust and allergens that enter your home have nowhere to go. Set a reminder to change the filter every one to two months for maximum allergen control. Negative self-talk is bad for your confidence. And when you’re not confident in yourself, you struggle to advance in your professional and personal life. When you catch yourself thinking negatively, flip the script and recite positive mantras. In addition to setting and achieving goals and taking care of yourself, positive self-talk is one of the best ways to boost your confidence. Good posture prevents back pain, makes you look better, and improves your breathing. Unfortunately, poor posture is a widespread problem for adults and children alike If your posture problems are severe, Harvard Health recommends seeing a physical therapist. If your posture just needs minor tweaking, use lumbar support in your office chair and set a timer that reminds you to change positions every 30 to 60 minutes. Bringing your lunch to work improves your diet and your finances, but you don’t have to pack a brown bag every day to see benefits. Aim to pack a lunch one more day per week in 2019 than you did in 2018. As you get used to the practice, packing a lunch will feel like second nature. Many families don’t realize that conventional household cleaners are bad for indoor air quality. As the American Lung Association explains, many cleaning products contain chemicals that pollute the air and worsen asthma and allergy symptoms. While it’s true that safer cleaning products can also be more expensive, people on a budget can make their own cleaners for less. Don’t waste another New Year’s resolution on a goal you won’t commit to. We admit that these seven suggestions aren’t the most glamorous resolutions. However, it’s these types of practical, achievable goals that are most effective at changing your life for the better. Julia Merrill is on a mission. She wants to use information to close the gap between medical providers and their patients. She started BefriendYourDoc.org to do just that. The site offers an abundance of information from tips on finding the right medical care to help with dealing with insurance companies to general health and wellness advice and more. Posted in Allergies and Asthma and tagged Air filter, Allergen control, Allergens, Allergies and asthma, American Lung Association, New Year's Resolutions.